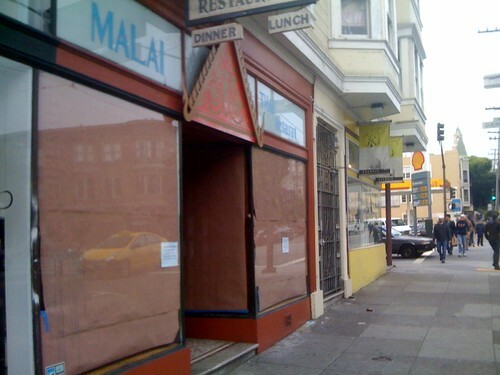 Malai Thai on 16th St. and Guerrero is closed. 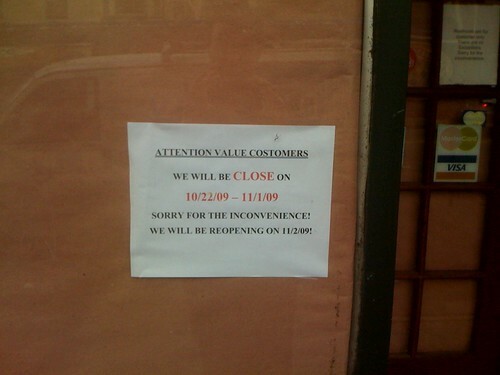 But behind the wrapping paper and Engrish sign, what’s going on? Renovation? Cleaning? …Murder? Who knows! The mystery continues. 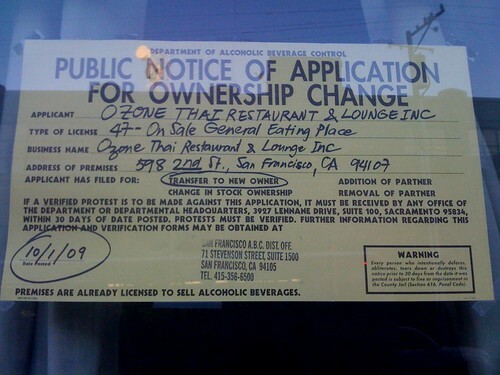 Ozone Thai on 2nd Street? 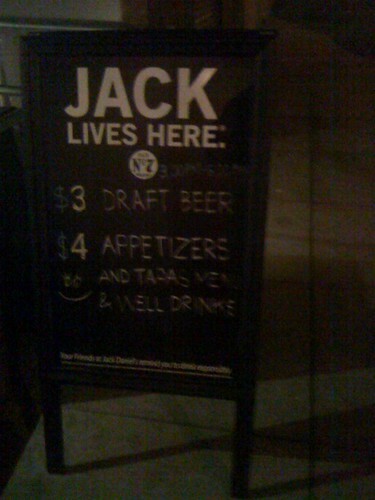 You might recall Jack Falstaff was one of Gavin “Hair” Newsom’s failed enterprises. 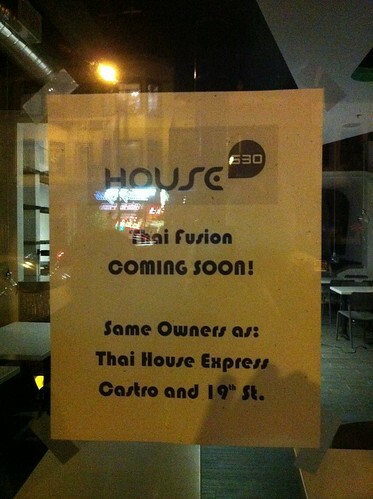 Now it’s transitioning to be a Thai restaurant, seemingly a new location for Ozone Thai.